It all started at MIT with a simple question: how can we design a project for Amsterdam’s canals from Boston? Context matters during a project’s ideation phase. It makes us understand the users’ needs and choices, it is a strong vector of empathy. So we associated Virtual Reality immersion to a traditional ideation session and started improving that process. Here is what we learned. "The journey starts with a set of (problem) scenarios and personas given to participants to choose from. Participants are in turn asked to choose and combine things, data channels, human actions and feedbacks relevant for the chosen scenario. Drawing on the chosen cards, participants elaborate an initial concept and sketch it out on a storyboard. Following, participants are asked to challenge their own ideas getting inspired by missions cards. A refined ideas in now visualised on the idea generator board. Participants are then asked to collaboratively reflect and improve their concepts using criteria cards and to prepare an elevator pitch to present their concept to the the audience (other participants, mentors, investors)." As drawing on a piece of paper is still the most efficient way to quickly visualize scenarios, the challenge was about translating smoothly the paper based storyboard into a VR scene. To do so we created 3D assets for every Tiles IoT Toolkit Things, Places and Personas cards. 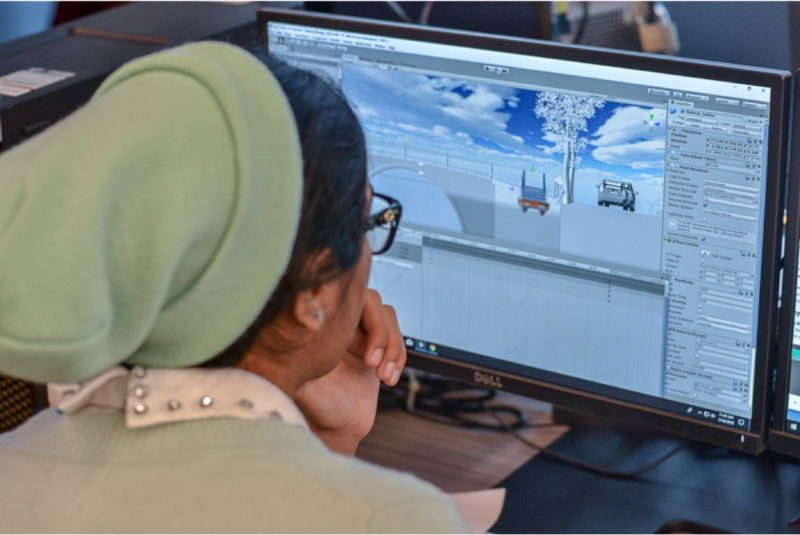 After a very short intro to the game engine: Unity, the participants could choose the assets based on their scenario’s cards and load them in their 3D scene. The assets library has a major role as it needs to be developed beforehand and updated during the workshop with the participants. The goal here is to not lose time in the translation process, from paper to VR. Once the scene is set up with all the assets, it is time to animate the scenario… and realize everything that is missing! In the case of urban space design, Virtual Reality allows to test scenarios with a realistic physics (testing accessibility for example) and to discover the scene at various points of view (as a tourist, as a bird, as a child, etc.). 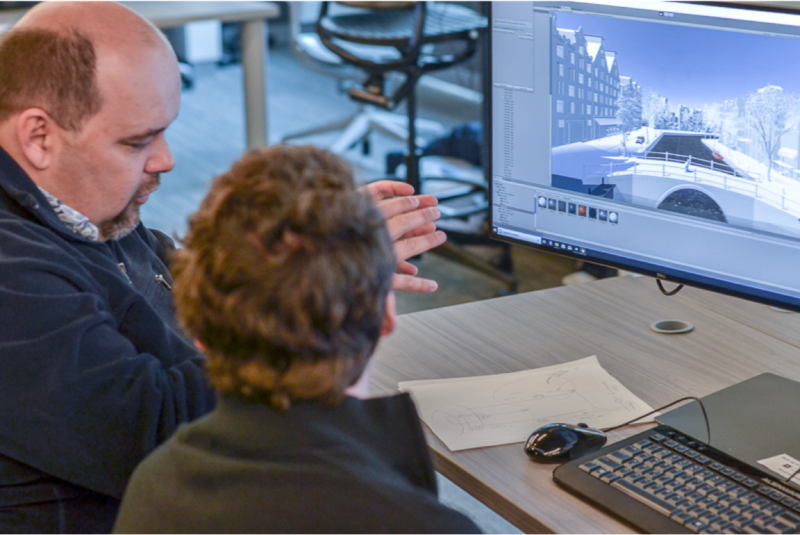 Animation brings realism and life to the scenarios, but it’s not an easy process, especially for participants without 3D software experience. So we decided to create a library of characters with encoded animations from Mixamo (walking, seating, texting, etc.). The idea is to have assets and animations that can be easily added to the scene and quickly modified to create scenarios customized for their unique contexts. 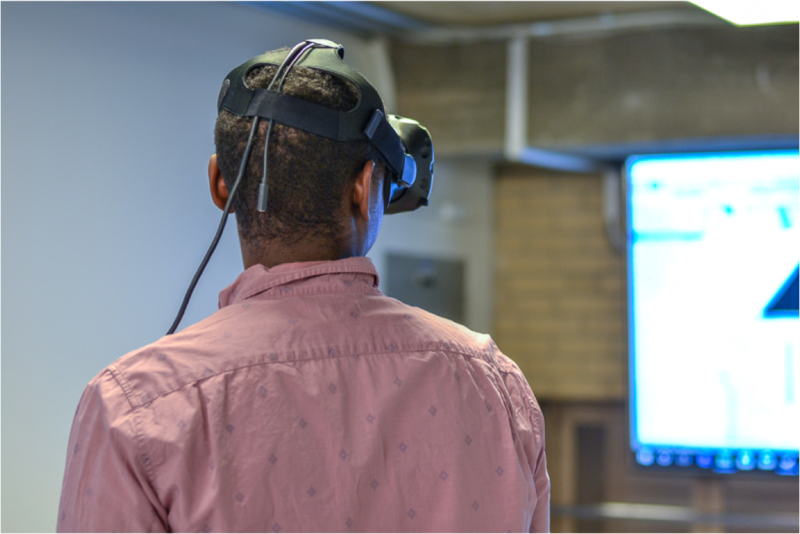 We realized that asking participants to animate a scene in VR make them focus on the context of the scene and particularly on the human interaction side of their scenarios. The steps of the paper scenario are also disappearing to create one continuous experience, raising questions as « what is actually happening in that blank space between step 4 and 5? ». In the paper-to-VR process, scenarios usually evolve significantly to become more realistic. The final demo are an exciting part of the workshops. 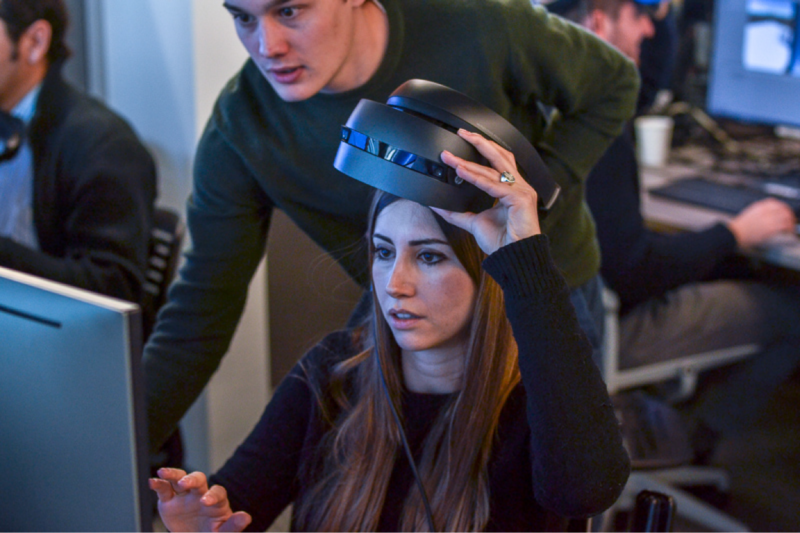 Unlike traditional ideation session every participant can wear the headset and directly experience other groups’ scenarios. Surveys can be distributed to comment on that experience. What if we use the headset itself to record and get precious insight from the participants? What if we ask people to draw and comment in the scene they’re experiencing? 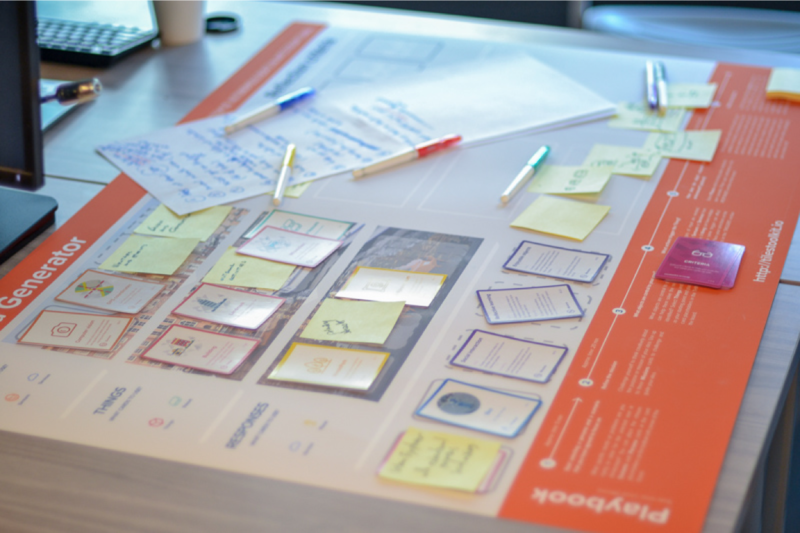 Immersive prototyping improves the scenarios but can also collect feedback on them. 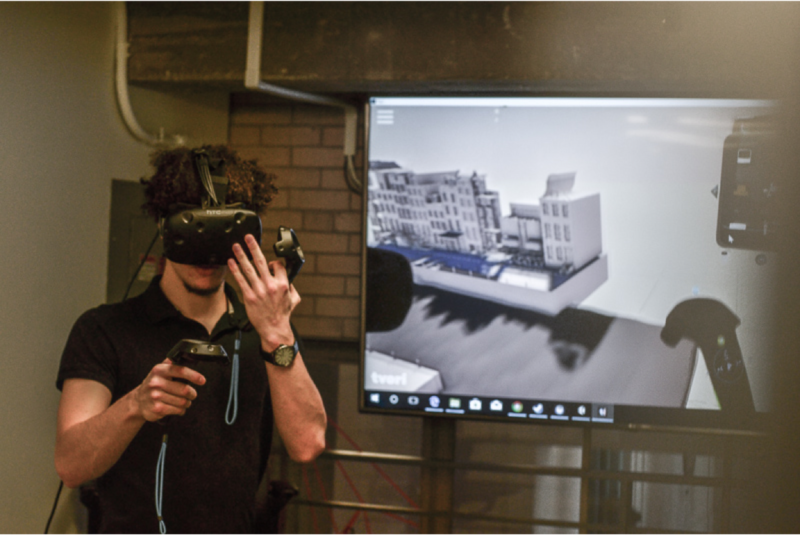 This project started from the idea that VR could facilitate idea generation and testing, especially in urban design. After two very inspiring workshops at MIT, we are now planning a third one at the Amsterdam Institute for Advanced Metropolitan Solutions in the coming months. 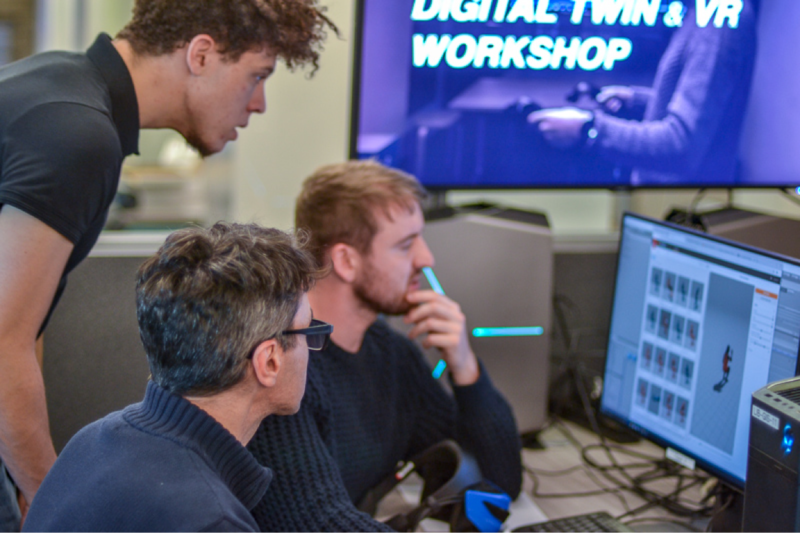 We discovered that VR is not that hard to handle even for total beginners and has the potential to become a truly new and cutting edge participatory design tool. Gathering students, designers and engineers, the workshops generated several new innovative ideas and solutions for the Roboat project, and we do believe immersive prototyping fostered those fresh ideas! 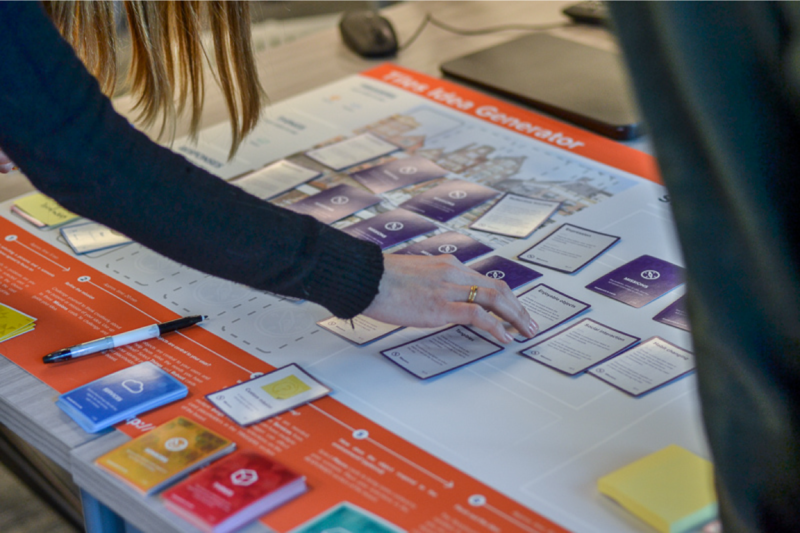 Beyond the Roboat case, we are working on applying the immersive ideation methodology to other projects, in and out of the urban design area.